Toilets use either a flapper or a flush valve to flush and release the tank water to the bowl. Replacing a flush valve unit will require removing the toilet tank. Once you remove the tank, you will have access to the retaining nut and will be able to change out the flush valve quickly. Flush valves are available at home improvement centers and plumbing supply houses. Locate the water shut-off valve behind the toilet. Turn the shut-off valve counterclockwise to shut off the water supply to the toilet. Take off the toilet tank lid and place it on a flat surface. Flush the toilet and hold the flush handle down to allow as much water to drain as possible. Use a towel to soak up any remaining water in the tank. If necessary, wring out the towel in a bucket and continue soaking up water. Remove the water supply hose from the bottom of the toilet where it connects to the fill valve. Turn the connection counterclockwise using a pair of Channellock pliers to disconnect. 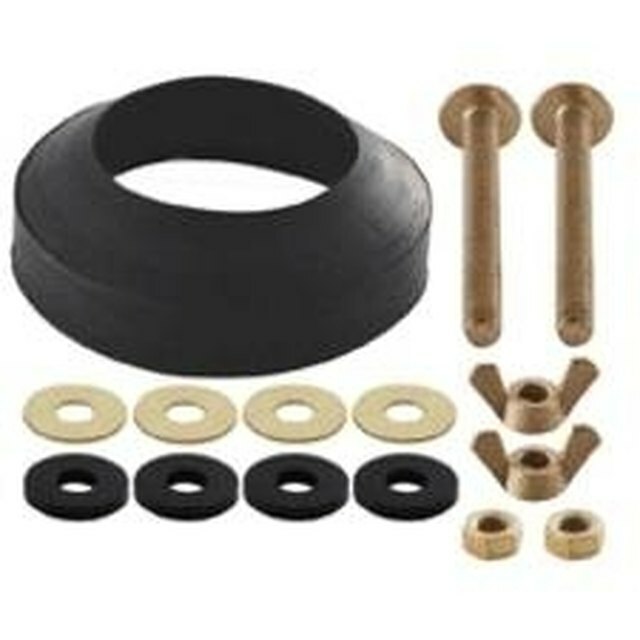 Locate the securing nuts that hold the tank to the toilet bowl flange under the tank. Remove the nuts with a wrench and lift the toilet tank off the toilet bowl flange. Place the tank on its side on a flat surface. Remove the rubber washer seal that covers the retaining nut to the flush valve on the bottom of the tank. Remove the retaining nut with a pipe wrench and pull the flush valve out of the tank. Insert the new flush valve into the toilet hole in the toilet tank. You will need to guide the end of the flush handle into the slot on the flush valve. Secure the valve to the tank with the retaining nut and tighten with the pipe wrench. Slide the rubber washer seal over the outside of the retaining nut. The curved part of the rubber seal should point away from the toilet tank. Set the toilet tank over the toilet bowl flange until the rubber seal seats into the flange. Thread the tank retaining nuts onto the retaining bolts until the nuts are hand-tight. Tighten the nuts evenly with a wrench. Wrap some plumber's tape around the threads of the fill valve under the tank. Thread the water supply hose to the fill valve and tighten with the Channellock pliers. Turn on the water supply and check for leaks. Place the toilet tank lid back on the tank.